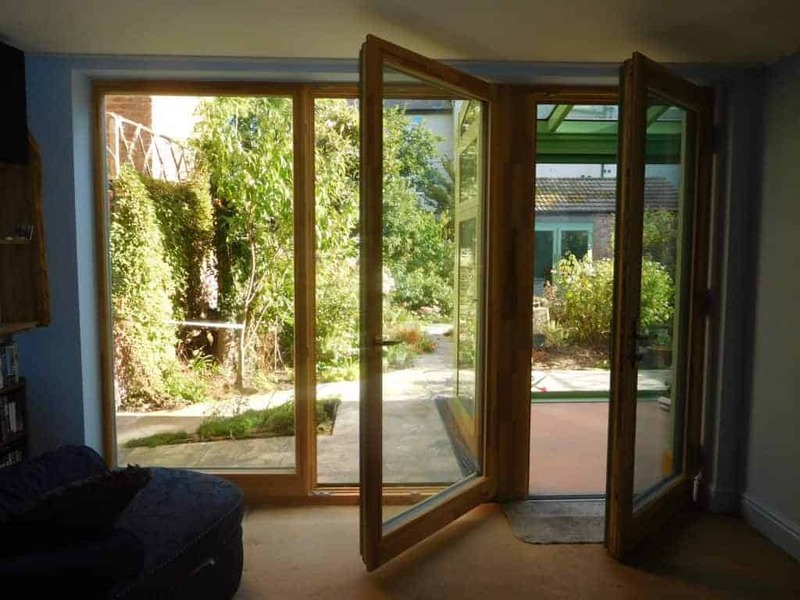 They are great products – beautiful triple glazed wooden windows and doors with top of the range thermal properties. We found the price to be highly competitive – the price was less than any comparable product in any material, and in some cases up to 50% less. Green Building Store’s customer service has been second to none and they have also offered an excellent after sales service. We have found that everyone – but everyone – at Green Building Store is incredibly helpful and friendly. 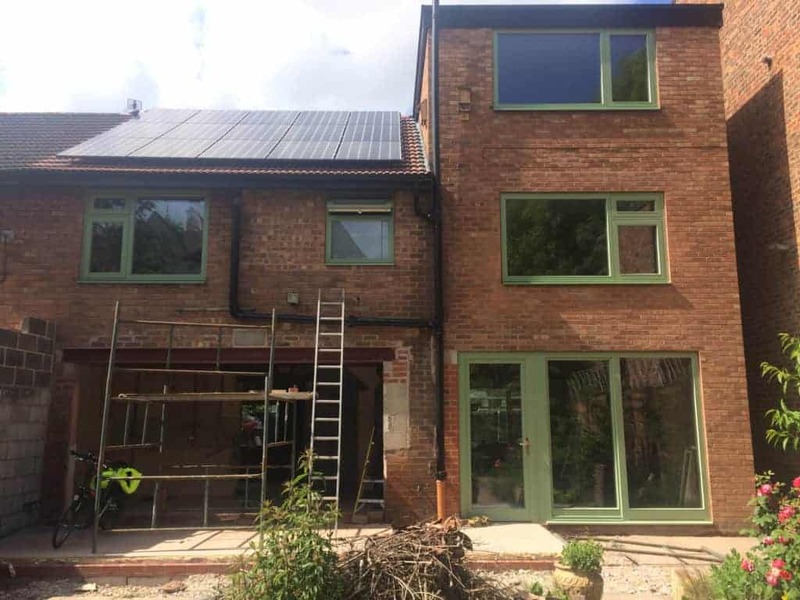 An extensive house renovation in Manchester, to improve the comfort and energy efficiency of a 1950s red brick house with a 1990s extension, has recently been completed. 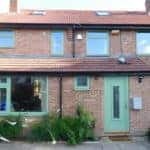 Clients Alan and Monica were looking to transform the house into a warm and comfortable home and to reduce its energy consumption and carbon footprint. 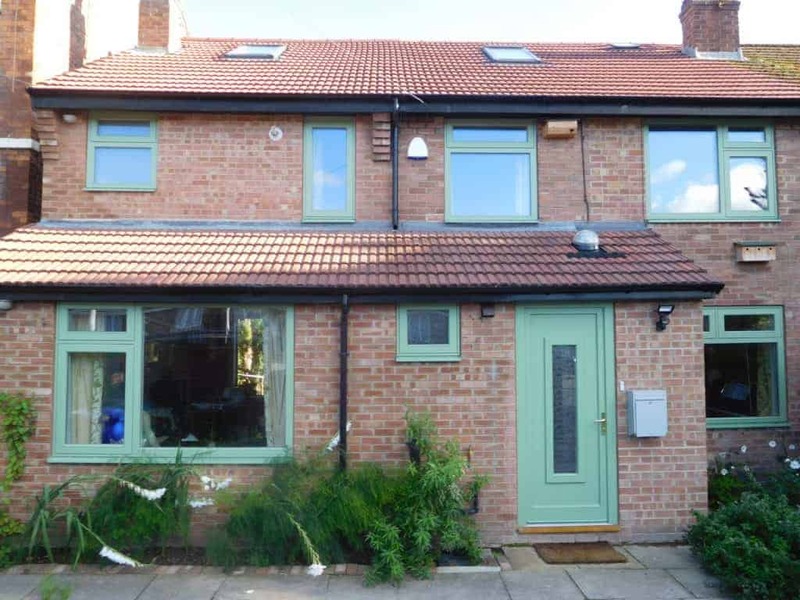 The project involved the replacement of all windows and doors with Green Building Store’s ULTRA triple glazed timber range, with a whole window U value of Uw 0.75 W/m2K. 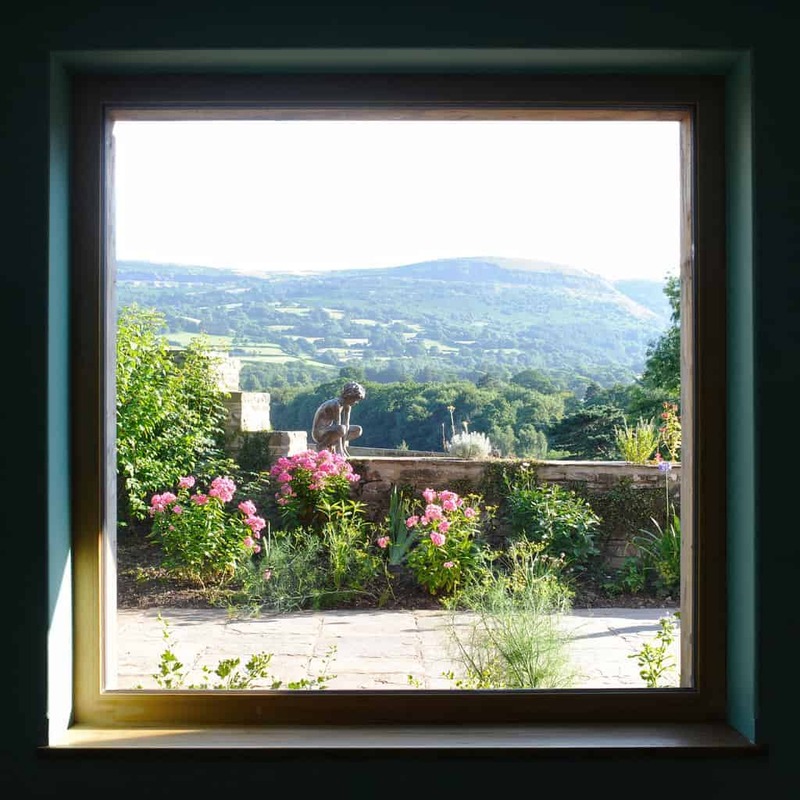 The existing windows in the house were old and had been poorly maintained, with rotten frames and failed glazing. 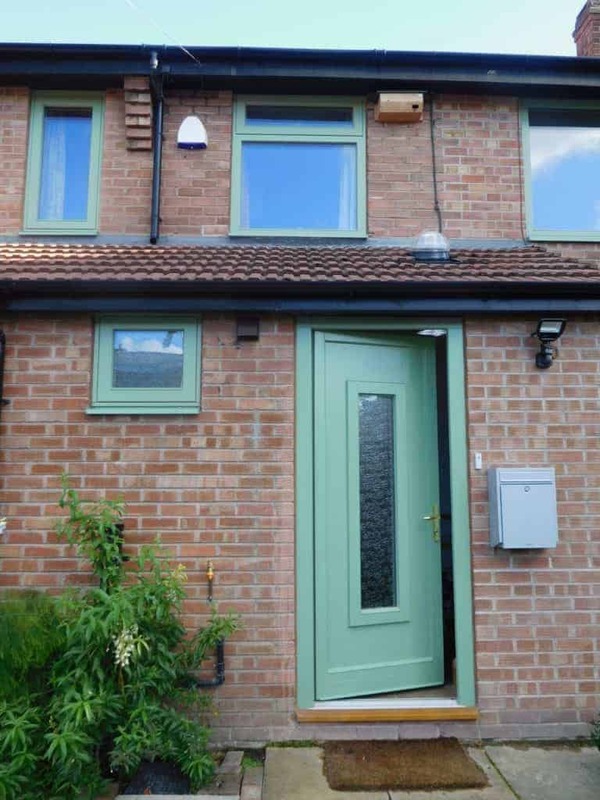 Green Building Store’s ULTRA triple glazed timber entrance doors, outward opening casement windows and one large inward opening window, in RAL colour 6021 (external) and clear timber finish (internal), were chosen to replace them. 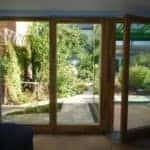 “We wanted triple glazing because of the comfort benefits of triple glazing, removing the cold down draughts from the glazing. We knew Green Building Store from previous positive customer experience and also through the Carbon Coop, which we had recently joined. 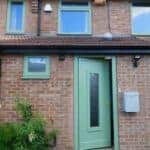 We did extensive research and got prices from 15+ window and door companies and we found that there was nothing to touch Green Building Store on quality or price. 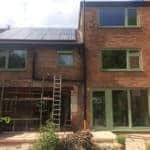 “During the whole of our major house refurbishment Green Building Store was the best company we dealt with, and indeed probably the best company we have ever dealt with in our life. Green Building Store’s customer service has been second to none. 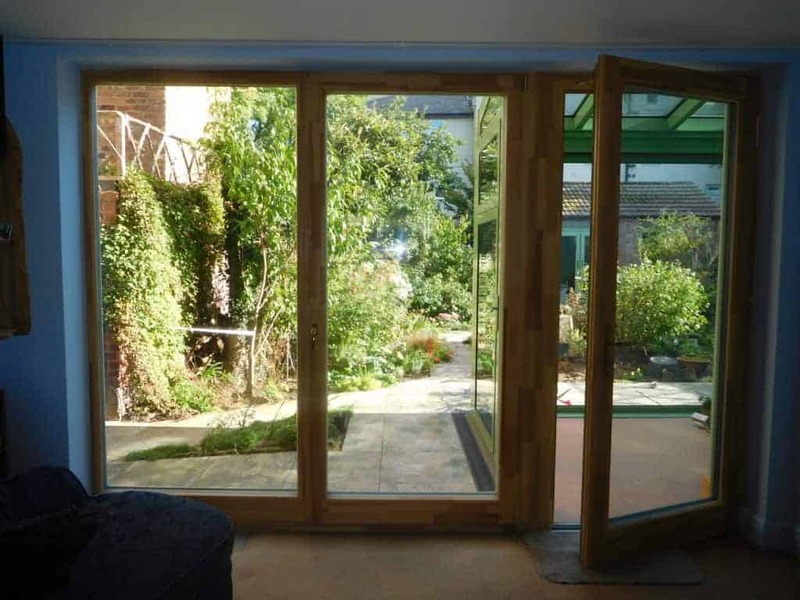 When we were designing the windows we changed our minds several times about window openings, sizes, colours etc etc. None of that was any trouble. 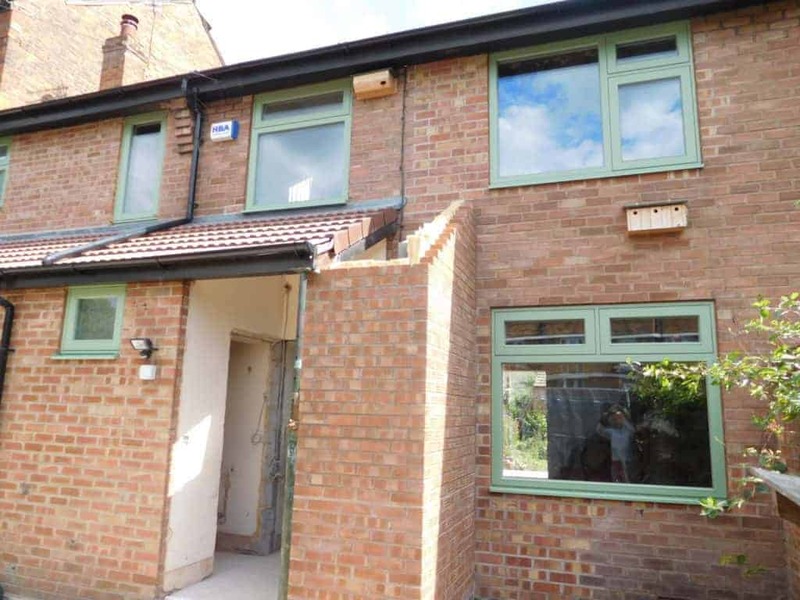 The surveyor came out twice (without charge) to make sure everything was how we wanted it. 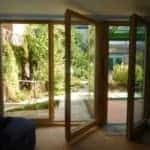 Green Building Store have also offered an excellent after sales service. One of the doors was sticking; and it was no problem someone was sent out to adjust it. We were then told that this policy lasted for 10 YEARS – if anything is wrong – we can get in touch. 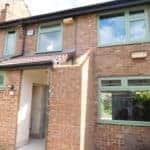 There will be a chance to visit Alan & Monica’s home on 29-30 September 2018 as part of Carbon Coop’s Green Open Homes Greater Manchester weekend.